Scientific research is now confirming what people have known for thousands of years: garlic is good for you! Many studies show the immune-boosting benefits of garlic, especially during the winter months, in reducing the symptoms of cold and flu. After a prolonged sniffle or a lingering chesty rattle, nothing gets you back on track like chewing a clove of raw garlic, but this remedy can be hard to swallow. It makes your breath smell and can be irritating on your stomach. A great alternative is an odourless, aged garlic extract. Gentle on the stomach, it retains all the benefits of the naturally occurring, sulphur containing compounds found in raw garlic which kill viruses, bacteria and other pathogens. I only recommend Kyolic Aged Garlic Extract. Made from organically grown garlic, it has over 300 peer-reviewed published studies to back up its health claims. One study, published in March 2006, showed that Kyolic garlic lessened atherosclerosis or plaques in the arteries of the people tested. 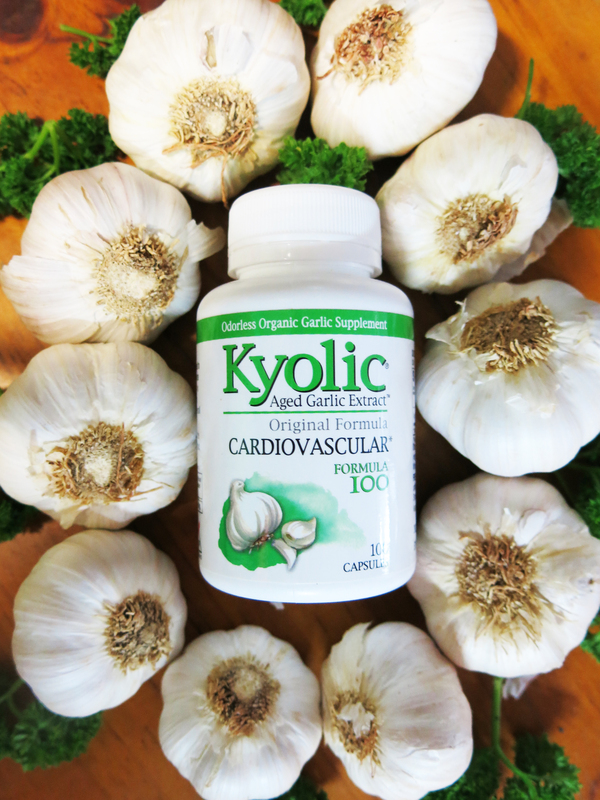 Many people have taken Kyolic garlic over time for circulation and heart health, which studies now confirm actually does reduce blood pressure, elevated homocysteine levels, serum cholesterol and triglycerides, thins the blood and prevents build-up of plaque in the arteries. This is again due to the antioxidant properties of the sulphur containing compounds. Studies have also demonstrated that these compounds have anti-cancer properties as they can inhibit tumours of the prostate, colon and breast. Other clinical studies show that Kyolic garlic detoxifies the body of chemicals and heavy metals, protects cells from free-radical and radiation damage, improves physical strength and stamina, reduces stress, fatigue and depression, improves memory function, enhances nerve growth and is anti-aging.